Alison Hawthorne Deming was born and grew up in Connecticut. Her most recent books are the poetry collection Stairway to Heaven (Penguin 2016) and Death Valley: Painted Light, a collaboration with photographer Stephen Strom (George F. Thomson 2016). The essay collection Zoologies: On Animals and the Human Spirit was published by Milkweed Editions in 2014. A recent Guggenheim Fellow, she is the author of Science and Other Poems (LSU Press, 1994), winner of the Walt Whitman Award of the Academy of American Poets; The Monarchs: A Poem Sequence (LSU, 1997), Genius Loci (Penguin Poets, 2005), and Rope (Penguin Poets, 2009); and three additional nonfiction books, Temporary Homelands (Mercury House, 1994; Picador USA, 1996), The Edges of the Civilized World (Picador USA, 1998), finalist for the PEN Center West Award, and Writing the Sacred Into the Real (Milkweed, Credo Series). She edited Poetry of the American West: A Columbia Anthology (Columbia University Press, 1996) and co-edited with Lauret E. Savoy The Colors of Nature: Essays on Culture, Identity, and the Natural World (Milkweed, 2002; revised and expanded edition, 2011). Deming’s small press works include two limited edition chapbooks, Girls in the Jungle: What Does It Take For a Woman to Survive in the Arts (Kore Press, 1995) and Anatomy of Desire: The Daughter/Mother Sessions (Kore, 2000), a collaboration with her daughter, the artist Lucinda Bliss. Deming received an MFA from Vermont College, a Wallace Stegner Fellowship from Stanford University, two poetry fellowships from the National Endowment for the Arts, and fellowships from the Fine Arts Work Center in Provincetown, the Arizona Commission on the Arts, the Tucson/Pima Arts Council, and the National Writer’s Voice. Her work has been awarded the Pablo Neruda Prize from Nimrod, a Pushcart Prize, the Gertrude B. Claytor Award from the Poetry Society of America, the Best Essay Gold Award from the GAMMA Southeastern Magazine Association, and the Bayer Award in Science Writing from Creative Nonfiction for the essay “Poetry and Science: A View From the Divide.” She has held residencies at Yaddo, Djerassi Resident Artists Program, Mesa Refuge, Hawthornden Castle International Retreat for Writers, The Hermitage Artist Retreat and the H. J. Andrews Experimental Forest in Oregon. She has served on the faculty of the Prague Summer Program, Taos Summer Writer’s Conference, Kachemak Bay Writers Conference, University of Montana’s Environmental Writing Institute, Indiana University Writers’ Conference and the Bread Loaf/Orion Environmental Writing Workshop, among many other venues. Working with the Language of Conservation Project sponsored by Poets House in New York City, Deming curated the poetry installation at the Jacksonville (FL) Zoo and Gardens. Her writing has been widely published and anthologized, including in Ecotone, The Georgia Review, Orion, Western Humanities Review, Sierra, Gnosis, American Poetry Review, Eleven Eleven, Terrain.org, The Norton Book of Nature Writing, and Best American Science and Nature Writing. Among her most keen interests is the intersection of art and science. Former Director of the University of Arizona Poetry Center, she currently is Regents’ Professor and Agnese Nelms Haury Chair of Environment and Social Justice at the University of Arizona, where in 2015 she founded the Field Studies in Writing Program http://www.fieldstudieswrititng.com/. 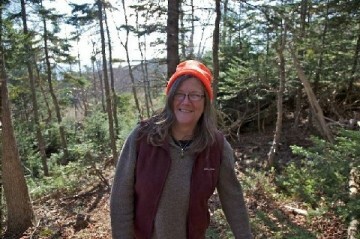 She lives in Tucson, Arizona and Grand Manan, New Brunswick, Canada.